Ever wanted to quit the hobby entirely due to a stripped screw that’s keeping your model grounded because you can’t get at it with the dremel or an easy-out? Align-Rite has got you covered with their ScrewGrab Friction Gel. 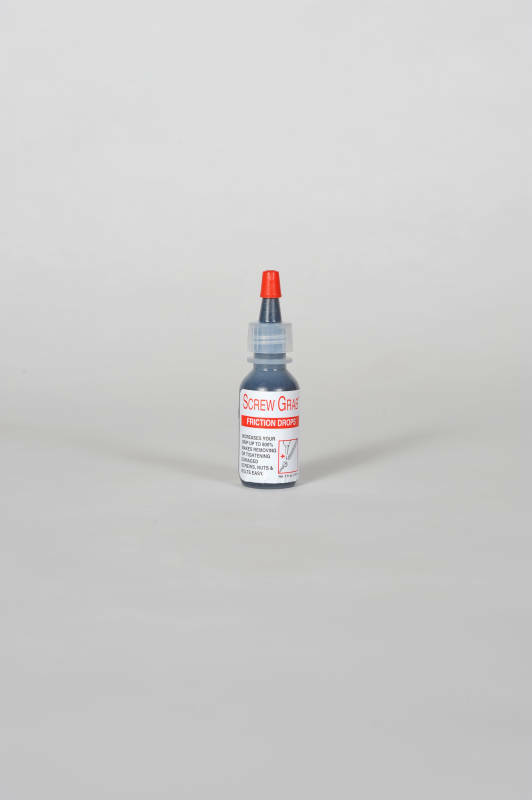 “ScrewGrab is a friction gel that helps remove or tighten all types of fasteners, such as damaged or rusted screws, nuts and bolts. A single dab of ScrewGrab creates a positive grip between metal surfaces (new tests have shown as high as 800%), that virtually eliminates tool wear and the stripping, rounding or deforming of fasteners. ScrewGrab is approved for use on United States Military fighter jets, and by the United Kingdom RAF. When you need a solution for an everyday problem, remember Align-Rite”. Pick some up for yourself right HERE. Previous Hitec To Release The X2 700 Charger Boasting 30 Amp Charge Rates!